Troy is known as the “Collar City,” but it may as well be called the “Uncle Sam City” given how many things within its borders pertain to Uncle Sam, the fictional man often used to personify the United States Government. Legend says that Uncle Sam is based off a real person named Samuel Wilson. 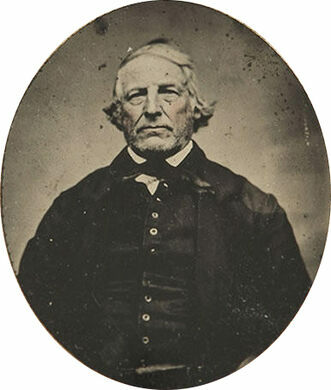 He was one of the first European settlers in Troy, New York, arriving with his brother Ebeneezer in 1789 after serving in the Revolutionary Army. The Wilson brothers owned a slaughterhouse and brick-making company, supplying meat and bricks to the surrounding region. Many of the historic buildings in Troy were constructed with bricks supplied by the E. & S. Wilson Brick Works. Among these buildings is the First Baptist Church of Troy. 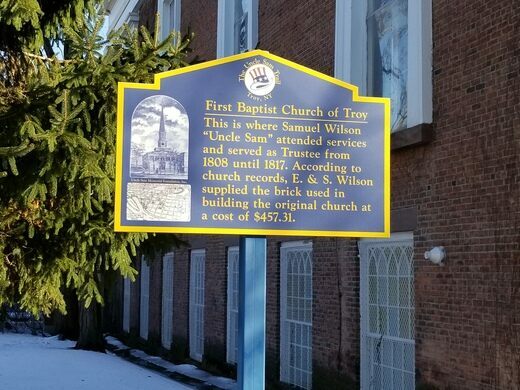 The Wilson brothers were regular attendees of the church’s services, with Samuel Wilson serving as a trustee from 1808 to 1817. E. & S. Wilson supplied the church’s original brick at a cost of $457.31. In 2014, the church building was sold to the Phi Gamma Delta fraternity’s Tau Nu chapter at nearby Rensselaer Polytechnic Institute. 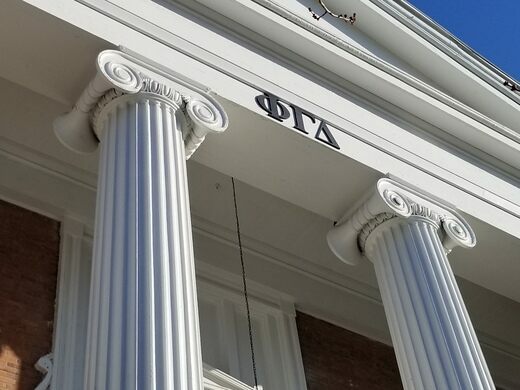 Today, the fraternity letters hang on the building, and a sign outside honors its Uncle Sam connection. The building is located on the east side of Third Street between Congress and State Streets. Please stick to admiring it from the outside. The ruins of a medieval seminary some say is the oldest university site in Scotland.